The chief cause of his life-troubles was his marriage with Lorenza [or Serafina] Feliciani, a tool of the Jesuits; and two minor causes, his extreme good nature, and the blind confidence he placed in his friends – some of whom became traitors and his bitterest enemies. Neither of the crimes of which he is unjustly accused could lead to the destruction of his honour and posthumous reputation; but all was due to his weakness for an unworthy woman, and the possession of certain secrets of nature, which he would not divulge to the Church. Being a native of Sicily, Cagliostro was naturally born in a family of Roman Catholics, no matter what their name, and was brought up by monks of the “Good Brotherhood of Castiglione,” as his biographers tell us; thus, for the sake of dear life he had to outwardly profess belief in and respect for a Church, whose traditional policy has ever been, “he who is not with us is against us,” and forthwith to crush the enemy in the bud. And yet, just for this, is Cagliostro even today accused of having served the Jesuits as their spy; and this by Masons who ought to be the last to bring such a charge against a learned Brother who was persecuted by the Vatican even more as a Mason than as an Occultist. Had it been so, would these same Jesuits even to this day vilify his name? Had he served them, would he not have proved himself useful to their ends, as a man of such undeniable intellectual gifts could not have blundered or disregarded the orders of those whom he served. But instead of this, what do we see? Cagliostro charged with being the most cunning and successful impostor and charlatan of his age; accused of belonging to the Jesuit Chapter of Clermont in France; of appearing (as a proof of his affiliation to the Jesuits) in clerical dress at Rome. Yet, this “cunning impostor” is tried and condemned – by the exertions of those same Jesuits – to an ignominious death, which was changed only subsequently to lifelong imprisonment, owing to a mysterious interference or influence brought to bear on the Pope! Would it not be more charitable and consistent with truth to say that it was his connection with Eastern Occult Science, his knowledge of many secrets – deadly to the Church of Rome – that brought upon Cagliostro first the persecution of the Jesuits, and finally the rigour of the Church? It was his own honesty, which blinded him to the defects of those whom he cared for, and led him to trust two such rascals as the Marquis Agliato and Ottavio Nicastro, that is at the bottom of all the accusations of fraud and imposture now lavished upon him. And it is the sins of these two worthies – subsequently executed for gigantic swindles and murder – which are now made to fall on Cagliostro. Nevertheless it is known that he and his wife (in 1770) were both left destitute by the flight of Agliato with all their funds so that they had to beg their way through Piedmont and Geneva. 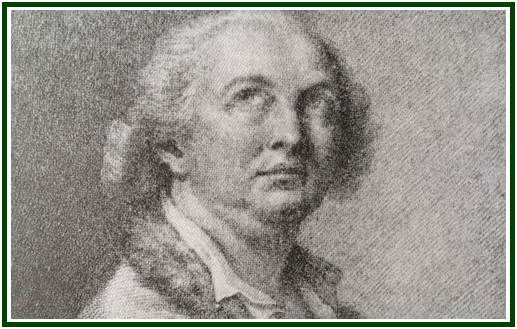 Kenneth MacKenzie has well proven that Cagliostro had never mixed himself up with political intrigue – the very soul of the activities of the Jesuits. “He was most certainly unknown in that capacity to those who have jealously guarded the preparatory archives of the Revolution, and his appearance as an advocate of revolutionary principles has no basis in fact.” He was simply an Occultist and a Mason, and as such was allowed to suffer at the hands of those who, adding insult to injury, first tried to kill him by lifelong imprisonment and then spread the rumour that he had been their ignoble agent. This cunning device was in its infernal craft well worthy of its primal originators. But what was the Castle of San Leo? It now stands on the frontiers of Tuscany and was then in the Papal States, in the Duchy of Urbino. It is built on the top of an enormous rock, almost perpendicular on all sides; to get into the “Castle” in those days, one had to enter a kind of open basket which was hoisted up by ropes and pulleys. As to the criminal, he was placed in a special box, after which the jailors pulled him up “with the rapidity of the wind.” On April 23rd, 1792, Giuseppe Balsamo – if so we must call him – ascended heavenward in the criminal’s box, incarcerated in that living tomb for life. Giuseppe Balsamo is mentioned for the last time in the Bottini correspondence in a letter dated March 10th, 1792. The ambassador speaks of a marvel produced by Cagliostro in his prison during his leisure hours. A long rusty nail taken by the prisoner out of the floor was transformed by him without the help of any instrument into a sharp triangular stiletto, as smooth, brilliant and sharp as if it were made of the finest steel. It was recognized for an old nail only by its head, left by the prisoner to serve as a handle. The State Secretary gave orders to have it taken away from Cagliostro, brought to Rome, and to double the watch over him. But yet – a query! Was Cagliostro dead and buried indeed in 1795, at San Leo? And if so, why should the custodians at Castel Sant’ Angelo of Rome show innocent tourists the little square hole in which Cagliostro is said to have been confined and “died”? Why such uncertainty or – imposition, and such disagreement in the legend? Then there are Masons who to this day tell strange stories in Italy. Some say that Cagliostro escaped in an unaccountable way from his aerial prison, and thus forced his jailors to spread the news of his death and burial. Others maintain that he not only escaped, but, thanks to the Elixir of Life, still lives on, though over twice three score and ten years old!